How to get good traffic from linkedin, I may not be an expert in social media marketing but with my experience after using this method, I can assure you good traffic that can turn to leads by using linkedin to promote your business, website or blogs. For those who might not know what is the purpose of joining linkedin, let me give a brief information on why you should join linkedin. What is linkedin and why choose them? 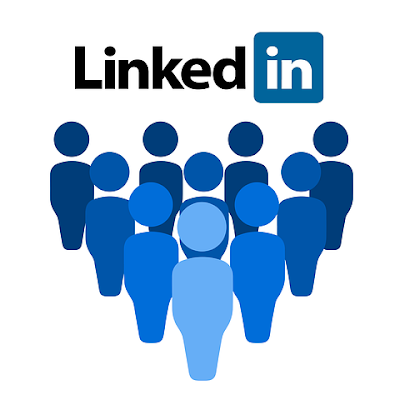 Linkedin is a business and employment oriented social networking service that operate via website and mobile apps of different os. It is chosen for professional networking and job seekers posting their CVs linkedin has over 400 millions accounts from different part of the world so you can see why you should also join linkedin. How to get good traffic from linkedin. Note: Linkedin traffic are humans and you have no worries of getting bots to your business, website or blogs because they are useless, also perform the second step always. Create a killer profile: if you make your linkedin profile catchy you will get more attraction from humans. So try to give your linkedin profile more professional and complete and so as to qualify you with your audience and you are guaranteed to get more people who will be interested in you. Increase your connection: after you might have setup professional linkedin account the next thing is connection on how linkedin connection works? Not much but with my little stay on linkedin I have over 30+ connections and equal to clicks and traffic to my blog and also get emails from of my friends or connection requesting for link recommendation, guest post and so on… what am trying to say is if you have more friends or connection you are guaranteed to get good traffic and clicks so if you have are a member on linkedin I advice you build more connections. Updated your status: the more content you share the more opportunity people have to see and engage with you, aim to updated your status once or twice a day. Join groups: I love this one the most, linkedin groups also serves as great way to earn more clicks and traffic to your blog look for groups that are related to your niche or business some groups on linkedin have more then 400,000 members. That’s a large audience you can be engaging with and get direct traffic back to your site. Create your own group: every member on group find this a way of growing their business or website by creating a group. Can’t say much on this because without members in your group their is no traffic.. lolz but can improve your businessor website with your audience. Customize your profile: if you want yo have a generic link then think no more linkedin also provides such services, create a unique “call to action” where you directly tell visitors to click on the link you have placed such as improve your seo. After doing all this you can enjoy traffic from linkedin having problem with any, just drop a comment I will explain better if finding it difficult to understand thanks for reading. 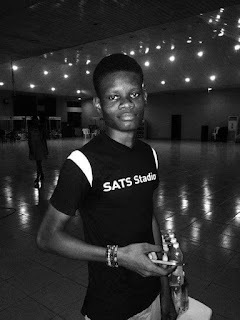 Nice and salient points you shared there Ayodeji. LinkedIn has been a silent traffic goldmine that can be tapped through hardwork. Thanks for sharing once more.